The annualized turnover rate at large truckload carriers (more than $30 million in annual revenue) rose 6 points to 94% in the first quarter, a rise of 20 percentage points from the first quarter of 2017, American Trucking Associations reported June 7. Truckload carriers with less than $30 million in revenue saw turnover come in at a 73% rate, 7 percentage points higher than the same period a year ago. No doubt, freight demand has been strong this year. FTR Transportation Intelligence reported that truck utilization has been running at 100% since last November, meaning there is demand by shippers for every truck available. And ATA’s truck tonnage measure of freight rose 9.5% in April. Carriers seeking to grab those loads have sought to attract drivers by increasing compensation. Maverick Transportation said effective June 17 it would raise the pay of student drivers to 47 cents to 53 cents per mile, depending on the over-the-road division they are in. The Little Rock, Ark.-based carrier said it was its fourth driver pay increase in recent months. And Cookeville, Tenn.-based Averitt Express announced June 7 it would pay experienced over-the-road drivers starting pay of 46 cents per mile. Some carriers are considering purchasing trucking firms that may have drivers on hand, according to Mark Saraiva, head of transportation investment banking with financial firm Cowen. “Many larger carriers, particularly those that have some experience with acquisitions, are actively looking for acquisitions today as a potential way to add drivers to meet the growing demand they are seeing from shippers,” said Saraiva. Carriers compete for drivers with each other and with the construction industry. Pay may be roughly equal, depending on region and skill level, but most construction workers will be home every night. That’s not always true for over-the-road drivers who can be away from home for weeks at a time. Average annual salaries in May 2017 for construction industry positions include $53,390 for brick masons, $49,250 for drywall and ceiling tile installers and $49,630 for carpenters, according to the Bureau of Labor Statistics. Construction, like trucking, has been very busy. Through May it had added 286,000 jobs over the previous 12 months, according to the BLS. Compensation and quality of life are part of attracting and retaining staff but trucking needs to consider how to cast a wider net for the people it seeks to recruit as drivers, notes Costello. “If this were only due to pay this would be easy. You have starting pay of $68,000 in rural areas but you can’t find drivers,” Costello told attendees at ATA’s National Accounting & Finance Council annual conference in Raleigh, N.C., June 7. The other factor is demographics, said Costello, who pointed out that only 7% of drivers are women and the average age of a new driver in a training program is 30. The demographic stat hanging over the industry is the graying of the driver population. The median age of private fleet drivers is 52, and retirement accounts for 49% of the projected future need for drivers, according to the ATA’s 2017 Truck Driver Shortage analysis. 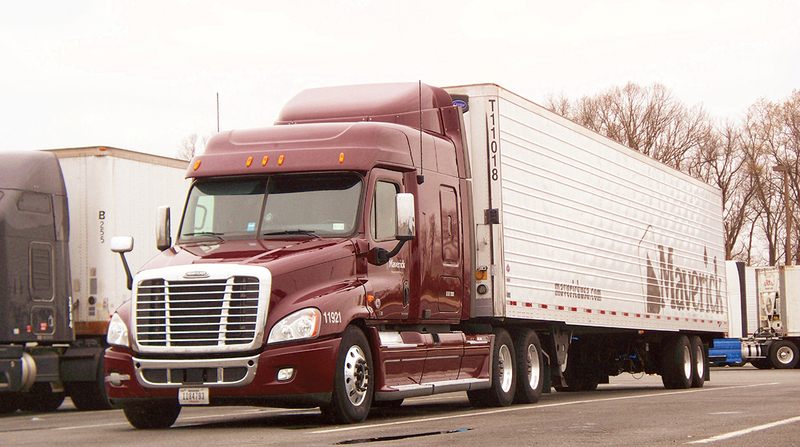 Still, the turnover rate at smaller carriers and those that focus on less-than-truckload loads is typically lower than that of large longhaul carriers. The turnover rate at LTL carriers was just 10% in the first quarter, though that is a two-point rise from a year ago, ATA reported. LTL local drivers had a turnover rate of just 7% in the first quarter, down from 12% reported for the first quarter of 2017.